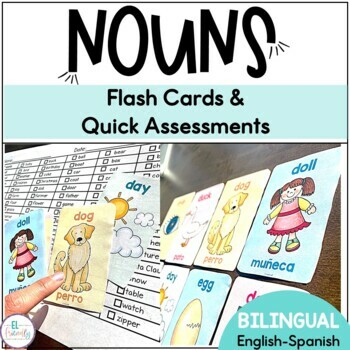 A child’s ability to identify high frequency words is a very important part of becoming a fluent English Learner. Being able to read/ identify high frequency/sight words without hesitation will help your ELs better understand what is being read. For ESL students, instant recognition of sight words is a huge step in learning how to read and comprehend in English. Review is crucial, continue to review all of these words on a regular basis. 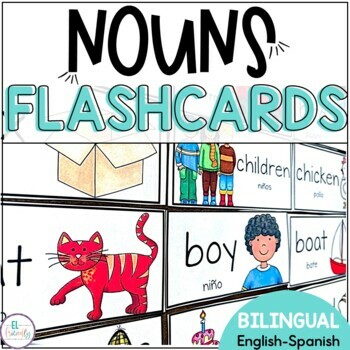 You can even print two sets and make a memory game out of this flash cards! Easy just print, cut, and go! They can be assembled into word rings for individualized practice at home and at school. Rings are not included. Laminate for durability. 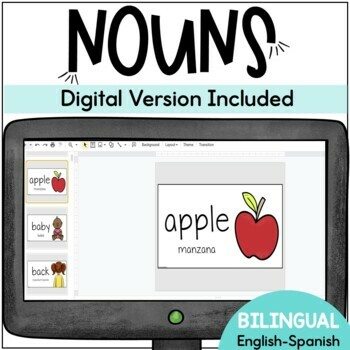 95 Noun Bilingual Sight Words with Image; 3 styles: Yellow Frame, Red Frame, and BW. apple, baby, back, ball, bear, bed, bell, bird, birthday, boat, box, boy, bread, brother, cake, car, cat, chair, chicken, children, Christmas, coat, corn, cow, day, dog, doll, door, duck, egg, eye, farm, farmer, father, feet, fire, fish, floor, flower, game, garden, girl, goodbye, grass, ground, hand, head, hill, home, horse, house, kitty, leg, letter, man, men, milk, money, morning, mother, name, nest, night, paper, party, picture, pig, rabbit, rain, ring, robin, Santa Claus, school, seed, sheep, shoe, sister, snow, song, squirrel, stick, street, sun, table, thing, time, top, toy, tree, watch, water, way, wind, window, wood. 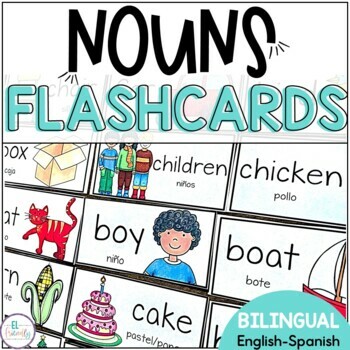 Please let me know how you are using these flash cards with your ELs. You feedback is highly appreciated.